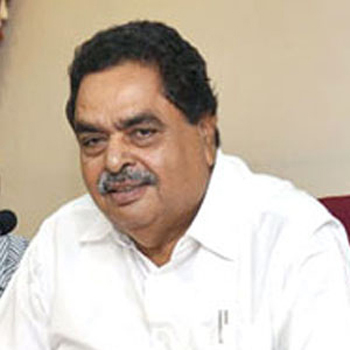 Mangaluru, Oct 10 2017: DK Minister in-charge of the district B. Ramanath Rai said on Oct 9, Monday stated that the district administration has issued sand extraction licences to 26 persons in the Coastal Regulatory Zone (CRZ) areas, the civil contractors said that the delay in issuing licences has led to sand becoming dearer for the middle and lower middle class families. DK Deputy Commissioner K.G. Jagadeesha, licences have been issued to 41 persons. Talking to media, DK Minister Rai said the district administration has started issuing licences for extraction of sand in CRZ areas. The State Level Environment Impact Assessment Authority has issued environment clearance to extract sand from 20 “sand bars” spread across 331 acres in the Netravathi, Phalguni (Gurupura), Nandini and Shambhavi rivers in the district. Minister Rai said applications of another 41 persons for licence were being verified. The Minister said with State government notifying on September 8 the norms for extraction of sand in the non-CRZ areas in the district, sand extraction will start in these areas shortly. “Scarcity of sand was because of tough action by police and district administration against illegal sand extraction. With issuance of licences, there will be no scarcity of sand,” he said. Meanwhile, Dakshina Kannada Civil Contractors’ Association’s Joint Secretary Ashok Kumar said the price of sand has risen from Rs. 3,000 to Rs. 6,000 per lorry load of sand. “While the rich did not have any problems, it’s the middle and and lower middle class families who are facing pinch of the hike.” While the district administration was issuing licenses for sand extraction, it has not notified so far the rate at which the sand should be sold. The norms for purchase of sand from the non-CRZ areas, which was in the custody of Public Works Department, has not been laid down clearly, DK AC Kumar said.